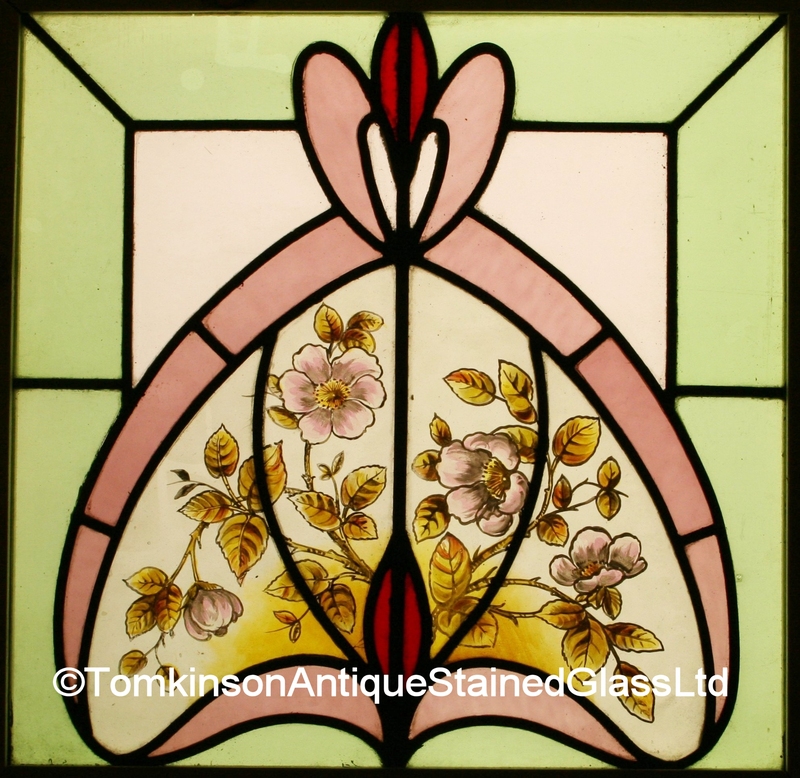 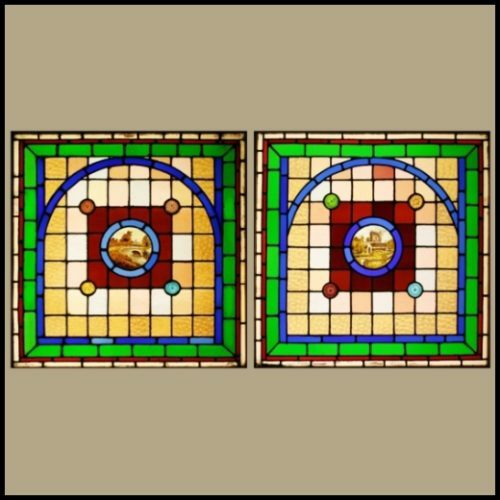 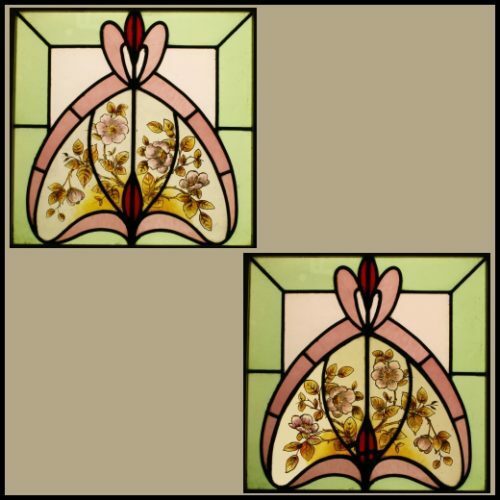 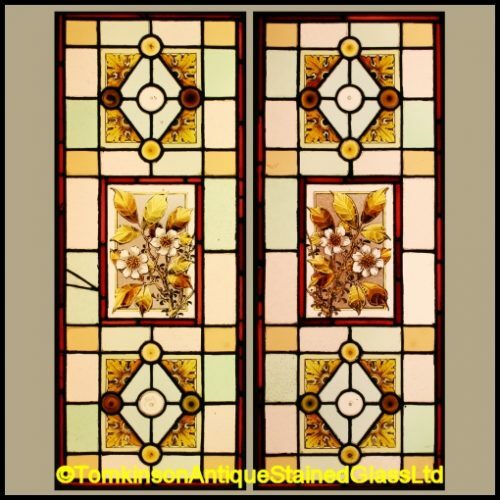 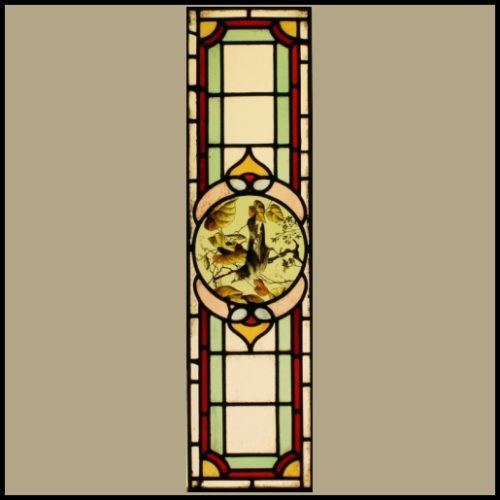 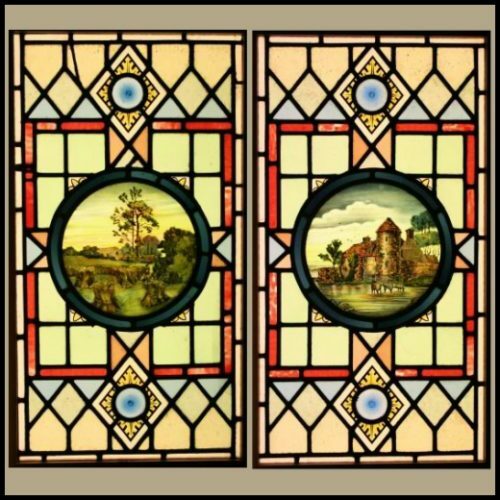 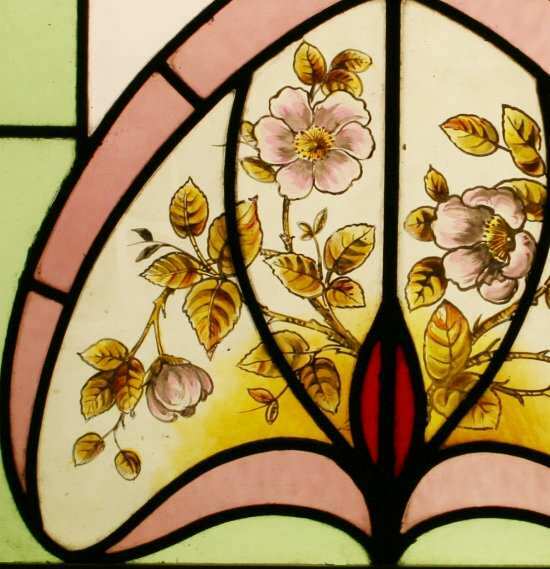 Two Edwardian stained glass windows, each leaded with obscure coloured glass and hand painted depicting stems of Bramble Roses. 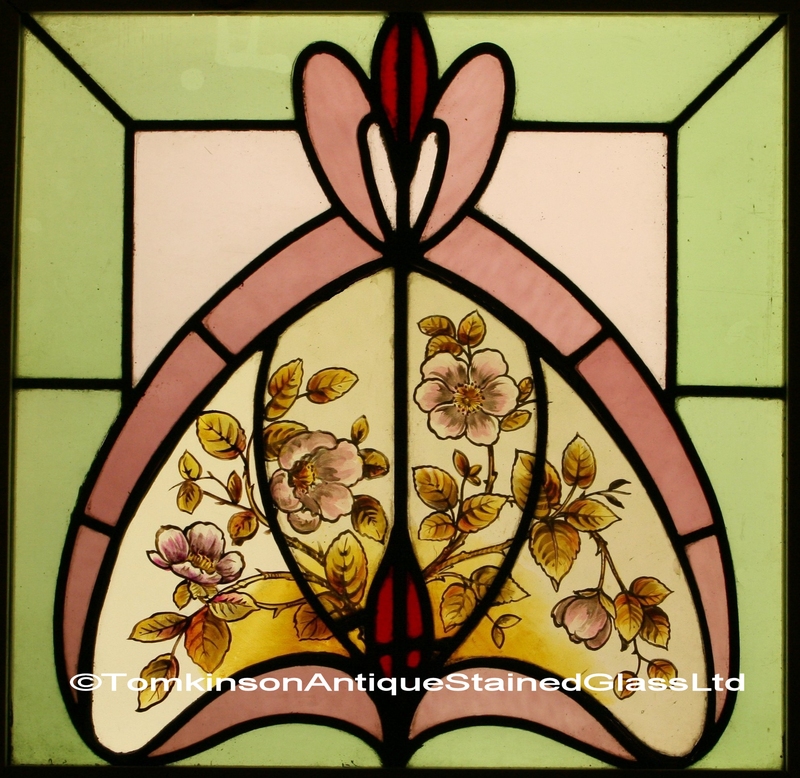 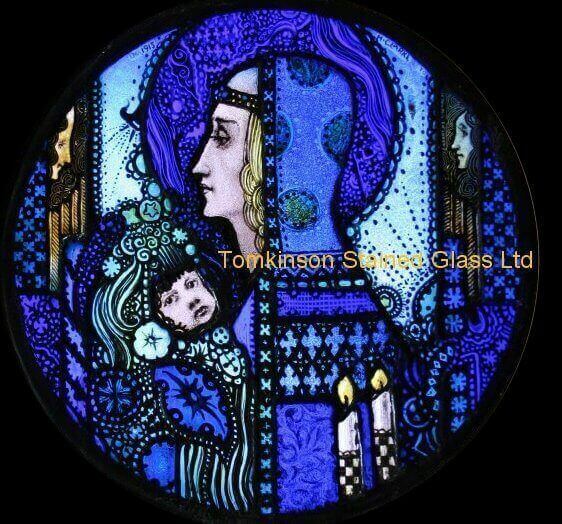 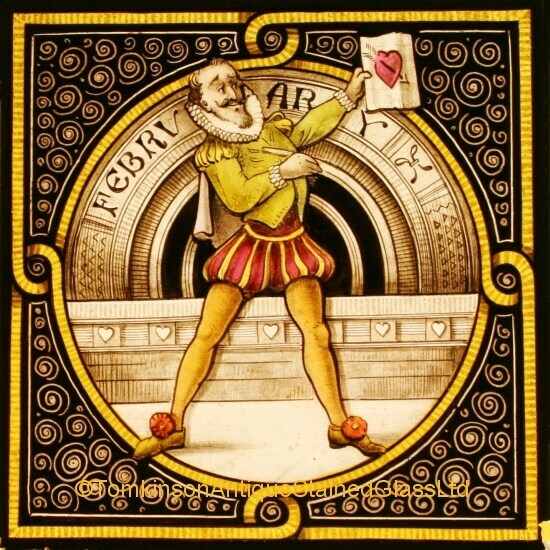 Restored with leaded and glass in excellent condition, silver stain and enamel paints have also been used. 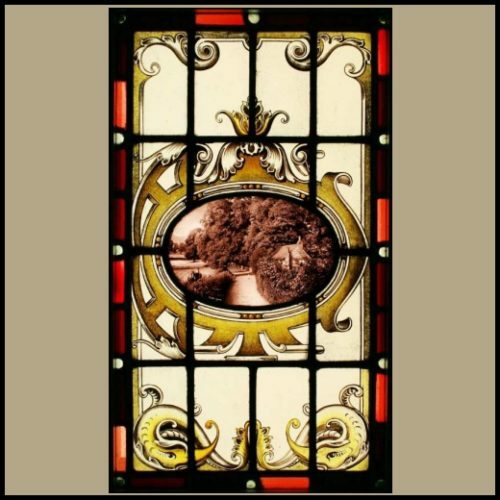 Now in pine frames for shipping/handling purposes.